Bitcointip – the Bitcointip Reddit bot allows you to support your favorite contributors on Reddit by tipping them bitcoin. Once you create a Bitcointip account and send your bitcoins to the deposit address, all you need to do is reply to any post with something like “+bitcointip 0.05 BTC”, and the funds will immediately be transferred to the recipient’s account, from which they can then withdraw the bitcoins at any time. If the recipient does not yet have an account, an account will be created for him. 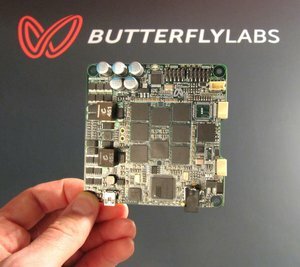 Rugatu – Rugatu is a Bitcoin-based paid question-and-answer board. If you have a question that you want answered and are willing to pay ten cents to a few dollars for an answer, simply submit it to Rugatu and deposit your bounty. Once someone provides an answer which you find satisfactory, you will be able to release the bounty to that user. SatoshiDice – if none of the other options in this category satisfy you, you can always gamble for a chance at increasing your supply of bitcoins to a level where you can buy something more respectable. SatoshiDice offers a wide range of probability distributions, returns an average of 98.1% of what players send in, and requires no account to set up – just send bitcoins to one of its addresses, and perhaps you will receive an even larger sum back. See also: Satoshi Circle, Satoshi Roulette. Coindl – the iTunes of the Bitcoin world, Coindl specializes in digital goods. On Coindl, you will be able to find a small but unique collection of songs for 0.001-0.089 BTC each, as well as books, games, art and software. If you do not have that much, some items are even available on a pay-what-you-want basis. Bitmit – the Bitcoin-based auction site has products listed for as little as two dollars, and is very easy to use. At the low price range, you will be able to buy electronics like USB keys and headphones, books and, in the digital goods, section, even one-month premium subscriptions to various online services. Ogrr – if you spend a lot of time playing online games, Ogrr is a trading forum that allows you to buy and sell your in-game virtual goods for bitcoin. Ogrr has subforums for a large number of games, including Diablo, World of Warcraft and Runescape. Bitcoin swag – if you want to show off your Bitcoin pride, there are many places that offer you the gear to do just that. BitcoinPride sells T-shirts, BTCTrinkets sells various pins and keychains and CryptoAnarchy offers a large variety of shirts, keychains, magnets and more for sale. Bitcoin Magazine – what better thing is there to spend your bitcoins on than a copy of the Bitcoin Magazine? Each copy of the print edition is sold for $8.88, free shipping included, although if you are looking for past issues you can often find them bundled for even cheaper. VPN services – for less than $10 worth of bitcoins, you will be able to buy a month or two of access to services like ExpressVPN, Mullvad, SecurityKiss, BolehVPN and privateinternetaccess.com, which allow you to route your internet traffic through them to bypass country-wide internet blocking (both Chinese-style censorship and even in some cases country restrictions on services like Hulu and Pandora) and protect your privacy. 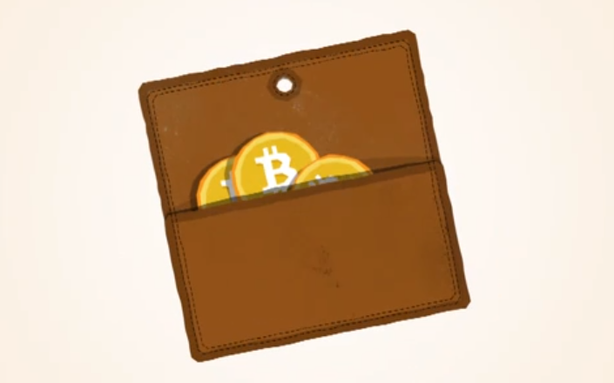 In fact, Bitcoin is the perfect currency to buy privacy-protecting VPN services; the privacy that it offers, especially when combined with mixing services like that integrated into Blockchain.info’s wallet, ensures that when you are purchasing your anonymity you are anonymous to the provider as well. A more complete list of VPN options can be found here. VPS and domain registration – if you are looking to start your business, one of the first things that you will need is a website, and that usually entails having a domain and a server to serve your website from. Fortunately, Namecheap, VPS6, BitVPS and many more exist to help you get just that – all payable with BTC. OkCupid – it’s a common meme that computer nerds can never find love, but if you’re in that situation you are now one step closer to breaking the trend. OkCupid, a popular online dating site, is now accepting Bitcoin for its $10 per month premium service “A-list”, which offers a number of additional features including no advertising, filtering and better search options. File sharing – Bitcoin now lets you buy premium access to two of the world’s biggest names in online file sharing: Usenet and Mega. Usenet is the world’s oldest widely known internet discussion and file sharing service, with subdivisions called “newsgroups” for hundreds of different topics of discussion and files that are difficult to find anywhere else, and to Usenet can now be bought at bitusenet.com. Mega is a more traditional centralized file upload/download service created by Kim Dotcom, albeit with client-side encryption, and although Mega does have a limited tier of free service it also has multiple levels of premium access, which the officially endorsed bitvoucher.co sells for BTC. Local businesses – a number of cities, particularly in the US and Europe, have at least one local restaurant that accepts Bitcoin. Going to such places offers benefits beyond just the food – it can also be a great way to meet other people who are part of the Bitcoin community. Clothing – CryptoAnarchy, Bitmit, BitcoinPride and others all offer Bitcoin-branded clothing in the 1-2 BTC range, if you wish to take your enthusiasm for Bitcoin to a new, and much more visible, level. Employment – ultimately, you do not even need a third party service to make your bitcoins worthwhile. Bitcoin is a free market composed of people around the world, and if you have a job that needs to be done, whether it’s art, translation or programming, just post it on any Bitcoin forum and you will quickly get people eager to work for your bitcoins so that they can spend them in turn. Domain name hosting – if you want to set up an online presence for your business or even just have a personal website that you fully control, there are plenty of providers who will sell you a domain name for bitcoin. Some providers, like BitDomain.biz, are even willing to work with you if you wish to remain anonymous – something which is impossible for those providers that only accept credit cards. Anything – many large merchants do not officially accept Bitcoin, but the Bitcoin community has come up with a collection of services that allow you to spend bitcoins with them nonetheless. The most popular is Bitspend, which has a form into which you can enter your shipping information and the product URL, which Bitspend’s staff then use to pay for the order with their credit card. There are also more specialized proxies available: BTCBuy offers Amazon, ThinkGeek, Sears, NewEgg, drugstore.com and Barnes and Noble cards from $10 to $350 in value, GamerKeys, which sells many popular PC games for bitcoins and Steambits, a proxy for the gaming service Steam. Home accessories – there are many stores listed on the Trade section of the Bitcoin wiki which offer various electronics, tableware and home appliances, and a large selection of goods can be found on Bitmit as well. Electronics – the Bitcoin Store, Bitmit, Bitcoinblaster.com and many other sites offer both low-end and high-end, new and used computers, tablets and phones for sale at similar prices to what can be found elsewhere. The Bitcoin Store’s prices are in fact usually even cheaper than leading traditional retailers like Amazon and Newegg, often to the point that it can even be more efficient for those who who have never used Bitcoin before to buy bitcoins through an exchange just to immediately spend them at the Bitcoin Store rather than buying the equivalent goods elsewhere with a credit card. Precious Metals – if you want to convert your bitcoins to precious metals, Amagi Metals or Coinabul is the place to go. Recognized even outside of the Bitcoin community for their reliability and ease of use, these two stores are the easiest way to buy gold and silver coins for BTC. Note that if you want to convert your gold or silver into bitcoins to spend on any of the other options in this chart, Coinabul can do that too. Aside from the bullion sellers, there is All Things Luxury, which offers a large collection of gold and silver jewellery. Travel – if you’re travelling to any city around the world, you can avoid currency exchange difficulties by carrying over your money in the form of bitcoin instead. Several cities have bed-and-breakfasts and taxis that accept Bitcoin, and even for your everyday use, you can always make a deal on Localbitcoins to exchange your bitcoin for local currency when you get there. For those who prefer a more structured tour, Bitcoin-friendly travel companies and private tour guides also exist. Rental – real estate companies such as Finextra in Germany and Fat Property in Houston are now allowing you to pay for rent in BTC, and artists, developers and entrepreneurs in San Fransisco may be interested in 20 Mission, a living community designed for startups. Cars – the innovative car manufacturer WIKISPEED is accepting Bitcoin as payment, and private offers of cars for BTC are increasingly popping up. Houses – at least one person is now selling his house for BTC in Alberta. This page is, and will always be, a work in progress, and we would gladly welcome your ideas on what we can add. Your suggestion may appear in an upcoming issue of Bitcoin Magazine. Thanks to everyone in the comments so far for your ideas!